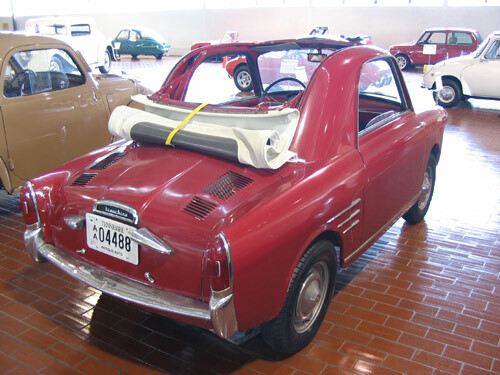 Autobianchi was founded in January 1955 with the signing of an agreement between Fiat, Pirelli, and Bianchi to produce a small, Fiat 500-based car. The result was the Bianchina, first shown in 1957. 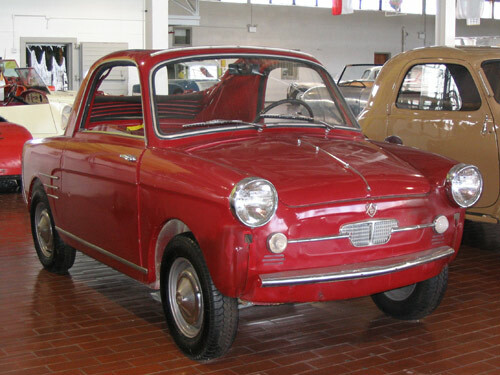 It used the complete mechanical setup of the 500 clothed in a new body designed by Rapi, working for Fiat. The aim to position the new car above the Fiat 500 in the market was executed by having superior interior and exterior trim and details, such as the new dashboard, two-tone paintwork, whitewall tires and large amounts of chrome, and was reflected by the higher price. The design was also considered by many to be more 'classy', and contemporary road tests found the handling to be superior to the donor car. The engine remained the same 479cc two cylinder unit with 18 bhp.